Richmond residents, according to an Office of National Statistics survey, have the highest life expectancy in Britain, with the number of residents over 60 expected to increase by more than 18% by 2021. This rise in life expectancy has been anticipated to cause an increase in small businesses, with people deciding to make that leap in order to make a living after they have retired from their mainstream job. With this comes the need for tax planning and personal tax services. Tax Agility are chartered accountants with experience in helping people with their personal taxes. We offer a comprehensive service that is designed to help you manage your finances. With the online deadline for your tax returns fast approaching (31st of December), contacting Tax Agility today can save you time and help reduce your worries. Completing and submitting personal tax returns can often be confusing and time consuming. 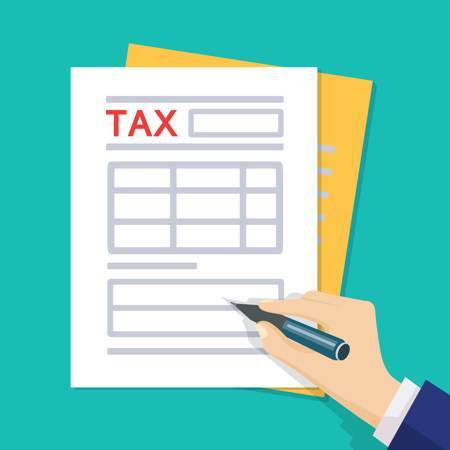 If you are self-employed, receive income from leasing land or property, or obtain an income from overseas, you will be required to complete tax return forms each tax year. Tax Agility believe that your time is better spent running your business and organising your finances. This is why we provide a service that incorporates our skills as accountants with our dedication to you as a client. We will analyse and assess your personal finances, which will allow us to correctly enter the necessary information on your self-assessment tax return. Our local Richmond tax return service is designed with you in mind. We offer a range of specialised services that are intended to make your life easier. To top it all off, we also have a local Tax Agility office in Richmond where you can meet with our personal tax professionals for one-on-one assistance. In addition to helping you prepare and submit your self-assessment tax return, we can also support you with our personal tax planning service. This service is useful because it will allow you to closely monitor your financial situation and help you plan for your future. With Richmond residents getting older and delving into other past times, including new business opportunities, now is the time to engage with some solid personal tax planning. By working with us, you will be able to create a strategic plan that can help you to save, protect and invest your money in a way that is efficient and long lasting. We are passionate about offering useful and tailored assistance that you can use practically. Starting a business can be daunting and stressful, especially when dealing with your finances and planning for the future. Tax Agility can make the process a lot easier to manage. Remember, the 31st of December deadline for completing your online tax returns is fast approaching, but it’s not too late to contact us for personal tax assistance. To find out more about how Tax Agility can help you with your tax returns or tax planning, call us today on 020 8108 0090. Alternatively, pop in and visit us at our local Richmond office.